Now go try this. 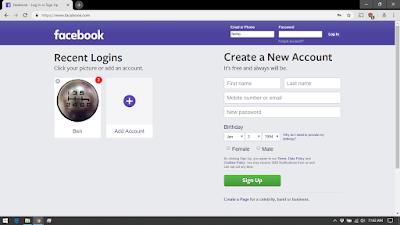 Login to Facebook. You can even try my sandbox technique if you like. Leave that alone and go away for a while. Wait until you should have gotten some kind of Facebook notification. Now go back to the tab where you were logged out. You just thought you were logged out. Facebook was still tracking you and even updated your profile picture to show the number of notifications you've gotten while you thought you were logged out.